Stage management is the practice of organizing and coordinating a theatrical production. It encompasses a variety of activities, including organizing the production and coordinating communications between various personnel (e.g., between director and backstage crew, or actors and production management). Stage management is a sub-discipline of stagecraft. Stage managers may use a Stage Manager’s book to help organize the production. How Am I A Stage Manager? 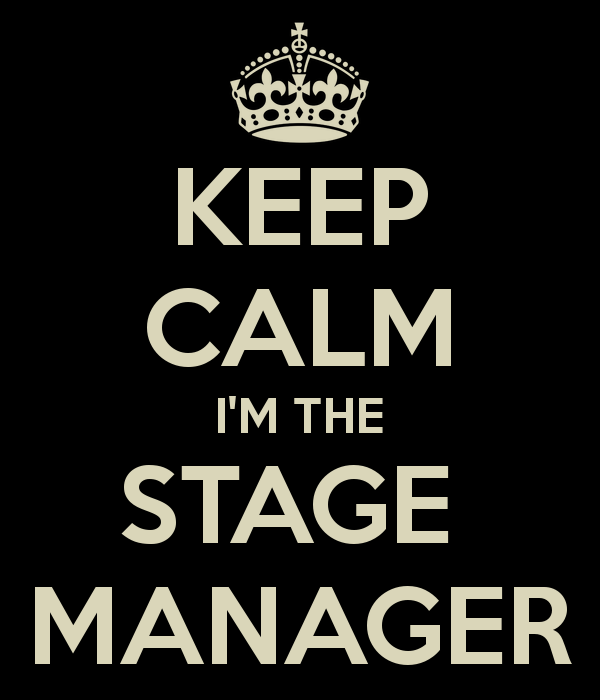 I have been applying the label of Stage Manager to myself since 2004, since I was given that title in my high school drama club. I grew more into that role during my years at UW – Parkside and Sunset Playhouse, and since have found that that title applies to so much more outside of the theater world. #28DaysOfSaving @mintdotcomblog Getting Organized: My 7,332 song music library is organized by the year it was relevant to me. From there, the Stage Manager organizes their “Promptbook” or binder with all the information related to the show they are working on, which acts as a living bible for the production. I do this with the different aspects of my personal life. I have a binder with all the paperwork related to my car, I have a binder with all the paperwork related to my health, I have a binder with all the paperwork related to my finances, ect. From an electronic perspective, I look at my cloud storages such as Dropbox, Google Drive, Evernote, etc as my e-Promptbooks, with any notes I find on the internet or want to save in my everyday thoughts organized on there. The Stage Manager monitors their cast during the rehearsal and production process, and I feel the same way about my own circle of friends. I tend to identify as the “mother” of my own groups. Finally, after the performances are over, it’s the stage manager’s last job to coordinate “strike” or the takedown of the production. I find myself in various settings that are similar to this, such as the closing shift in a restaurant, or moving from one place to another. The more I go through these processes, I better I am able to create closure on my life events, and process them better mentally and emotionally. At the end of the day, I identify as a stage manager because it accurately sums up how I view my life on a day-to-day level.